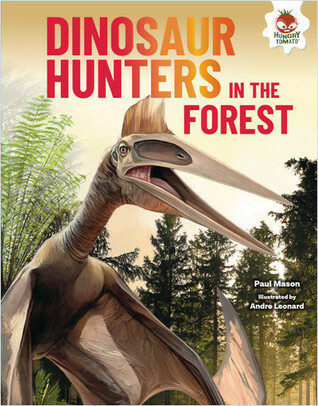 Take a peek beneath the canopy of prehistoric forests to discover the world of dinosaurs. Spread-by-spread battles pit species against one another in scientifically accurate battles, while fact files give report writers the info they need at a glance. My Review: This book reminds me of an app where you can battle dinos against each other. This one uses scientific information while battling dinos against each other. It was very informative on who would win and why. I loved the pictures and the information!